Islamabad: Imran Khan's Pakistan Tehreek-e-Insaf on Saturday emerged as the single largest party in the general elections, winning 116 National Assembly seats out of the contested 270 parliamentary constituencies, according to the election commission's final results. Muttahida Majlis-e-Aml Pakistan (MMAP) came fourth with 13 seats, it said. 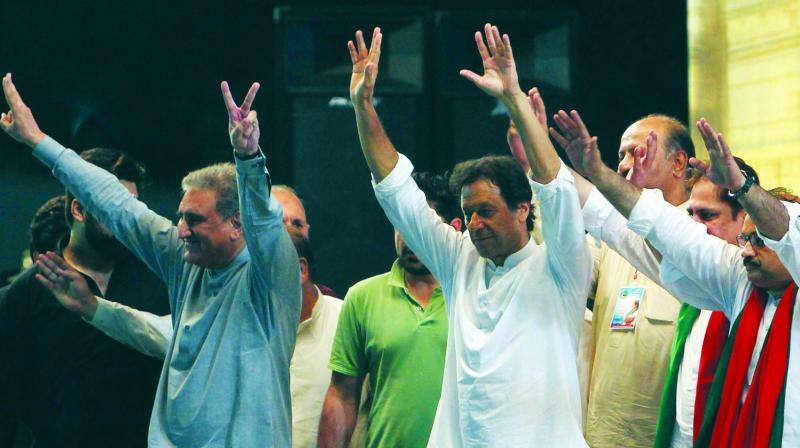 Thirteen independent candidates have also won and would play important roles as the Pakistan Tehreek-e-Insaf (PTI) needs their support to form the government at the Centre. Karachi-based Muttahida Qaumi Movement Pakistan (MQMP), which ruled the city for decades, managed to get just six seats. The ECP has also released the total votes each political party got in the election. The PTI is on the top with 16,857,035 votes, followed by the PML-N with 12,894,225 and the PPP with 6,894,296 votes. The independent candidates with 6,011,297 votes are the fourth largest group in terms of votes cast, it said. Among the religious parties, the MMAP got 2,530,452 votes, Tehreek-i-Labaik Pakistan 2,191,679 and Allah-o-Akhbar Tehreek 171,441 votes, the ECP said. The ECP also issued final voters' turnout in election of both national and provincial assemblies, showing 51.7 per cent turnout for the National Assembly (NA), 55 per cent for Punjab provincial assembly, 47.6 per cent for Sindh, 45.5 per cent for Khyber-Pakhtuakhwa and 45.2 pr cent for Balochistan provincial assembly. The Tehreek-e-Labaik Pakistan (TLP), a party of hardline Sunni Brailvi sect followers, clinched two seats in Sindh assembly. The TLP participated in elections for the first time after it tasted success and fame during siege of capital Islamabad last year. However, Allah-o-Akhbar Tehreek which was used by loyalists of Hafiz Saeed was badly thrashed.